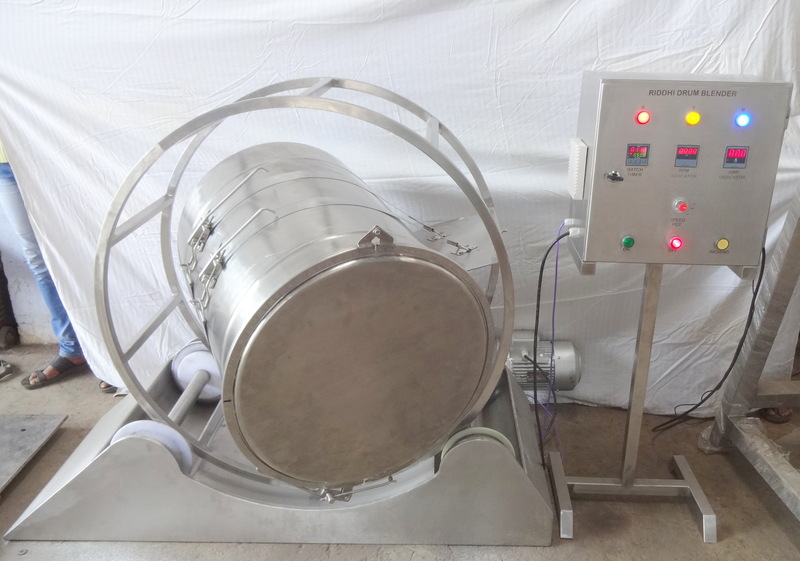 We are one of the pioneer Pharmaceutical Machinery Manufacturers from India, We manufacture Drum Blender, the blending achieved in Drum Blender is very good and it is one of most popular and conventional Blender used in the Pharma Industry. 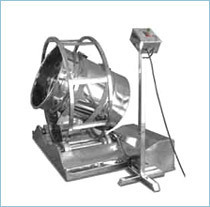 Speed of Mixer 20 R.P.M. Approx. 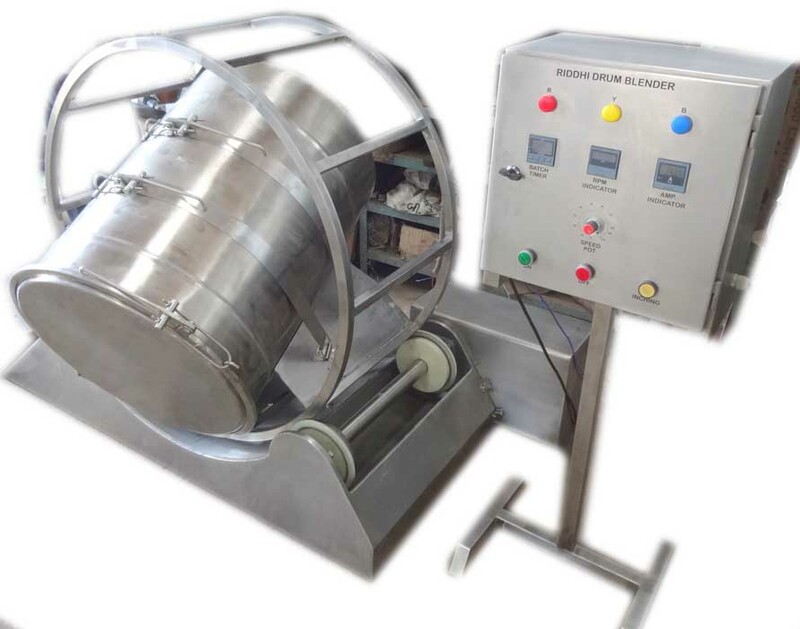 Electrical Service 3 HP/1440 rpm/415V/3PH/ A.C. Supply.